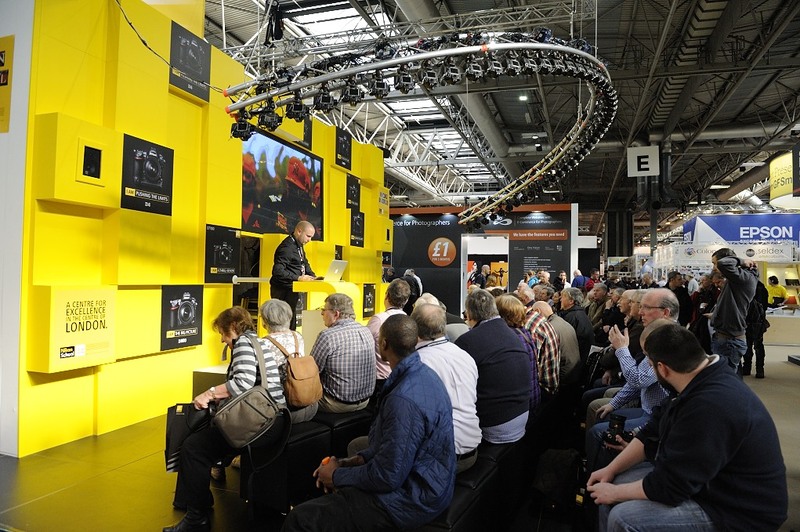 The Focus On Imaging 2013 show is currently underway at the NEC in Birmingham (3-6th March). I went along to check out some of the latest gear and maybe pick up a bargain. As someone who uses Nikon cameras this was the first stand I headed towards. I only really wanted to see if the new 800mm lens would be on show, alas however it was not. I was informed by one of the Nikon representatives there were only 4 of these lenses in europe and the one available had gone to photograph the pope’s resignation/departure. 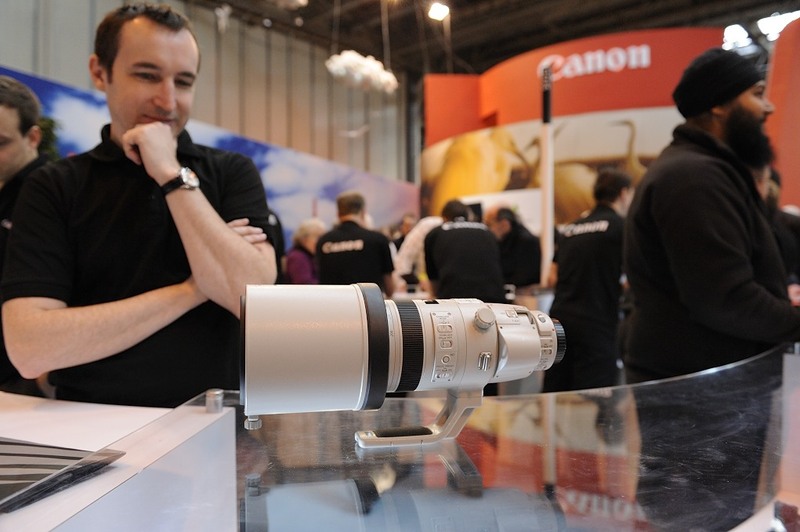 Apart from the 800mm lens there was nothing new to interest me on the stand. 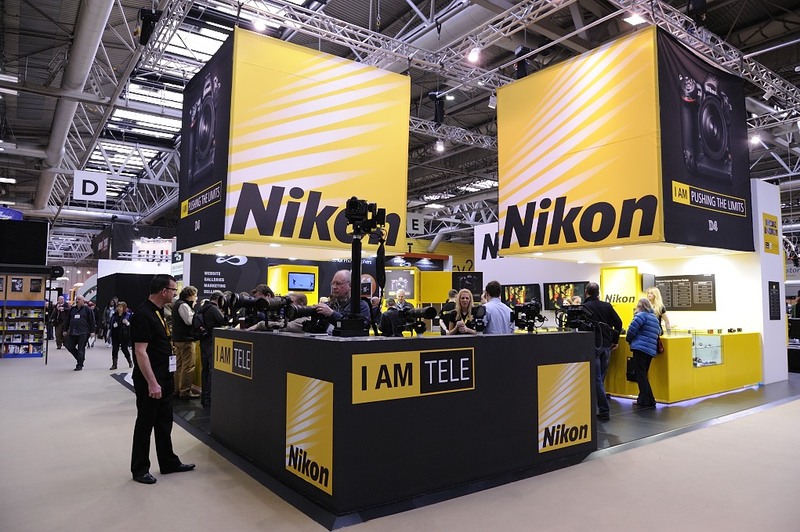 The Nikon stand. Focus On Imaging 2013. 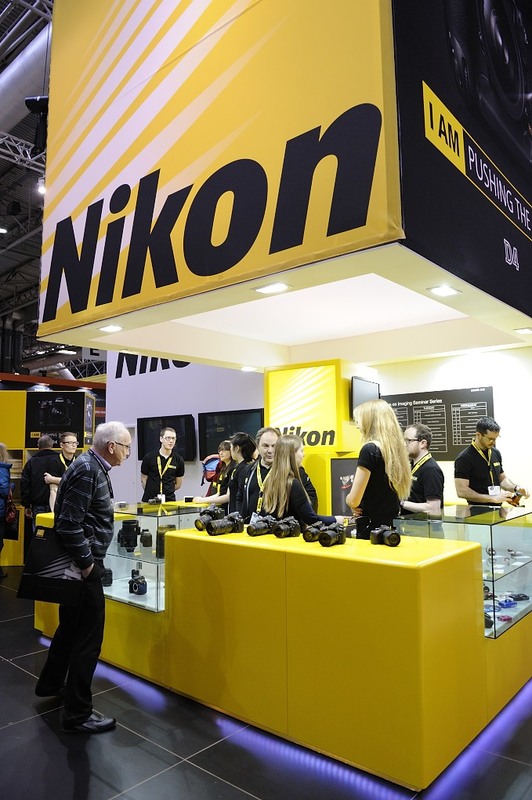 Nikon at Focus On Imaging. 2013. 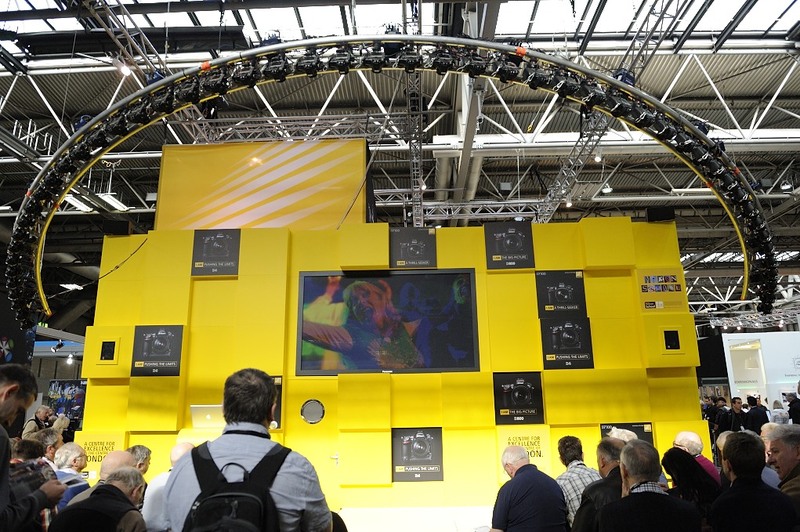 At the rear of the display area where the presentations are given there was an arched framework suspended overhead. Onto this framework there were 50 D800’s mounted upside down and all wired together. This was quite an impressive sight. There were presentations by guest speakers throughout the day on topics such as video, using speed lights and the Nikon FX system. 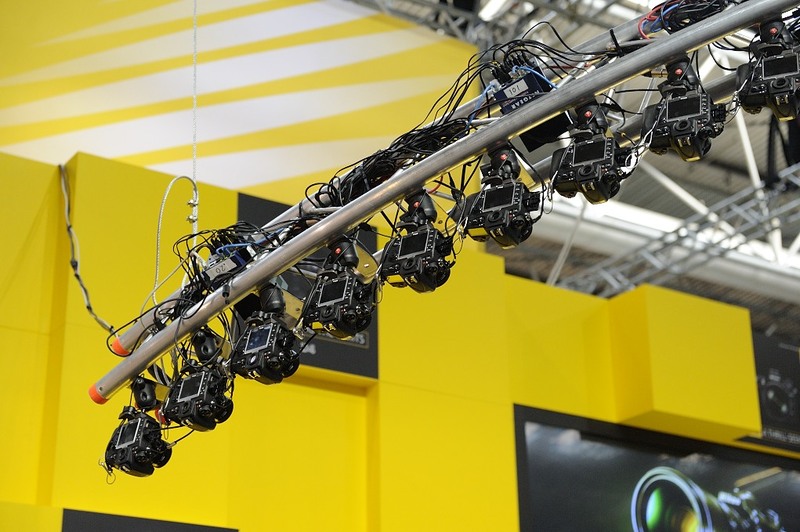 50 Nikon D800’s suspended on the framework overhead. Closer view of the D800 assembly overhead. A view from in-front of the seating area of the D800’s overhead. After the Nikon stand I went to check out what Canon had brought to the show. Never having used Canon gear I’m only really familiar with the higher level bodies and lenses. As expected the 200-400mm lens was on display. 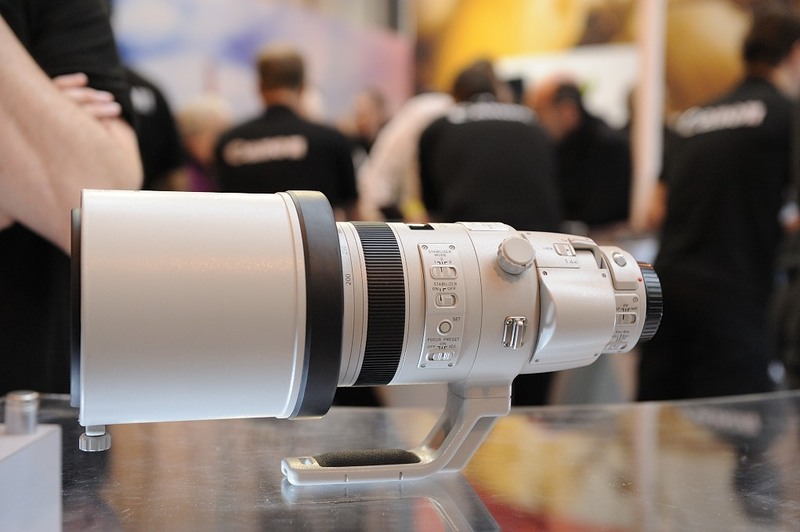 I have seen this lens before at Birdfair last year, so it was not new to me. Lots of other visitors were showing a great deal of interest in it. There were lots of “When’s it finally going to be available?” questions directed towards the Canon rep. The mythical unicorn – sorry the Canon 200-400mm lens. 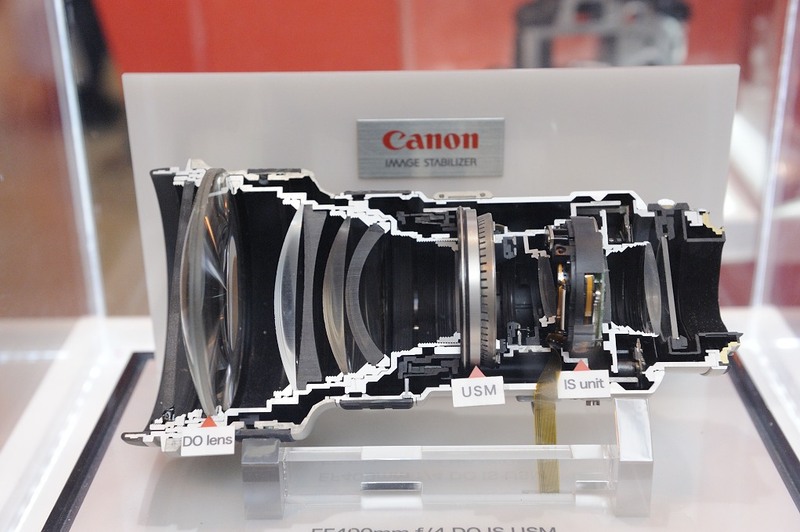 On the Canon stand there was an area with glass display cases housing various components from digital cameras and cutaway lens sections. I’ve never really taken the time to look at these, on this occasion I did. When you see what the inside of the lens looks like and the work involved you realise why these big lenses cost so much. A sectional view through a Canon 400mm DO lens. 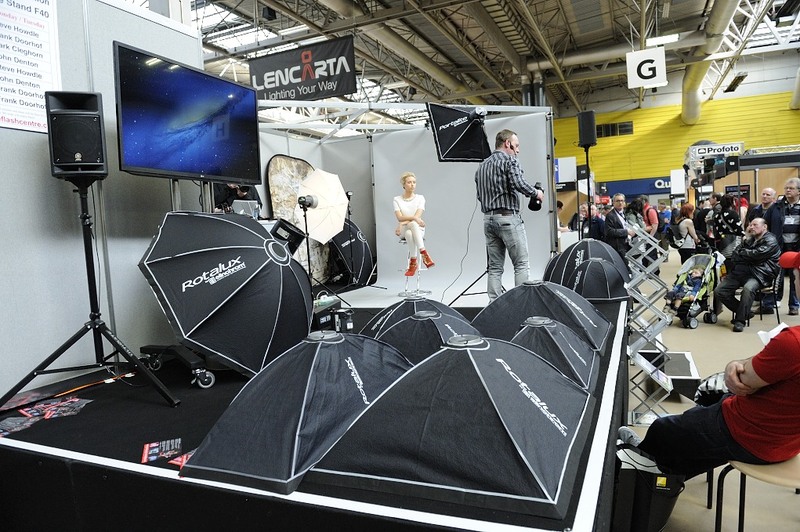 The Focus On Imaging show covers everything to do with imaging from photography to video to studio work to commercial printing so every area is covered. On the studio side of things all the major lighting manufacturers seemed to be represented Elinchrom, Bowens, Hensel, etc. Companies supplying studio backdrops and props were also well represented. 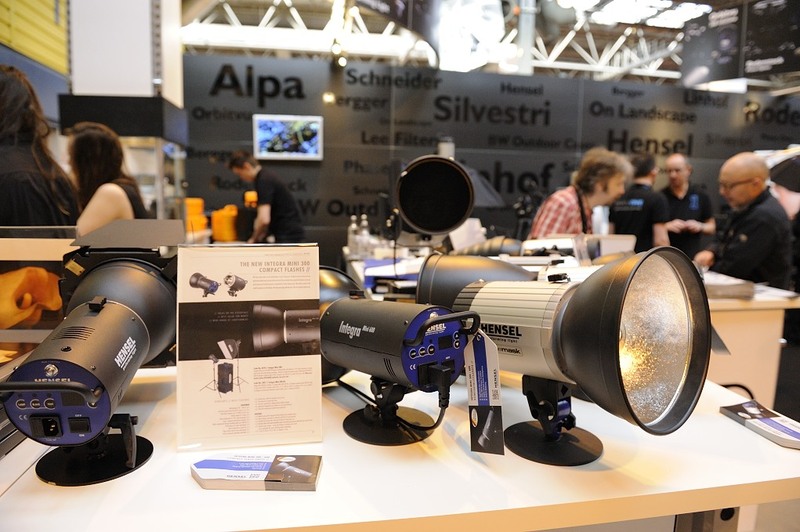 I myself have a couple of Hensel contra studio lights which I have had for quite a few years now so I was interested in viewing the latest products from Hensel. A demonstration on studio lighting techniques. The Hensel studio lighting stand. On various stands throughout the show there were demonstration covering studio lighting techniques. Lectures covering photo retouching and finishing using photoshop or other software packages were taking place on the Wacom stand amongst others. In this digital age high end monitor manufacturers Eizo and NEC display solutions were both present along with companies supplying calibration equipment like Colour Confidence. A company that caught my eye last year were also here again – The Print Foundry, who supply a range of bespoke finishes for your images. Some of the images on display looked really stunning with a real quality to them. The Print Foundry. Bespoke printing and framing products. In all there is something for everyone who has an interest in photography although it can become quite crowded.